Remembering Brian Epstein: The Late, Great Manager of the Beatles . Beatles Radio: The Beatles, Solos, Covers, Birthdays, News The Fab 4 and More! 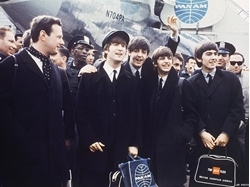 The predominant narrative of Beatles history gives insufficient credit to the role Epstein played in shaping the group’s image and preparing them for international adulation. He dressed them in tailored suits (better for attracting the girls); shopped their records to label after label, armed with little but his name and his unyielding faith; fostered their songwriting; and encouraged the musicians’ penchant for goofy wordplay in press interviews while urging sophistication.